Today's entertainment industry is pumping out some great movies and shows that are hard to miss, but you may not always have the time to watch your favorite shows live. Thanks to the advent of smart devices and apps, you can now watch television on your phone, tablet, and laptops. Stuck on a long airport layover without lounge access? Now, entertainment is in the palm of your hands. 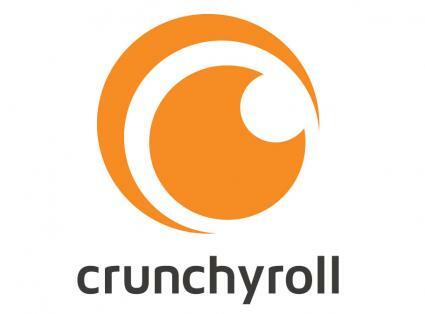 A genre-specific app for anime fans, crunchyroll is one of the more popular apps around, earning rave reviews on sites like Appcrawlr. It is also listed as one of the 15 best apps to watch TV on Tom's Guide. There are free and paid versions of this app. Features: One of the great features of this app is that the anime shows are broken down into genres and rated on popularity. The app also allows you to put shows into a queue for continuous watching, and it keeps track of your viewing history. Availability: Crunchyroll is available on Android and iOS. Netflix offers thousands of TV shows and movies, as well as original programming, such as House of Cards and original movies. It is available for all mobile devices, as well as laptops. With the standard streaming plan, you can stream on two screens simultaneously and the premium plan allows streaming on up to four screens at the same time. Business Insider regards Netflix as one of the top streaming apps. Features: Search by title, genre, actor and more. The app imports your viewing history and preferences from other sources you may have been using like iPad, television, internet-enabled video game system, etc. The Netflix streaming app for smartphones allows you to add shows to your personal list and even share trailers. Availability: Netflix is available for both Android and iOS. There are three levels of subscription services for Netflix: basic ($7.99 per month), standard ($9.99 per month), and premium ($11.99 per month). Slingplayer is the official app for Slingbox, bringing the full TV experience to your tablet, Mac, PC or Smartphone. It also allows you to set up DVR times for your SlingBox at home. 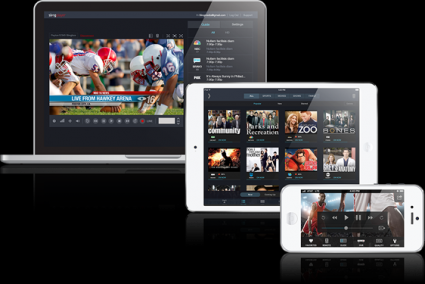 The makers of Slingbox brought out the app to extend the user experience. A number of reviewers say Slingplayer works great and it is rated by Tom's Guide as one of the top 15 apps for watching TV on your smartphone. Features: SlingPlayer features social media integration for Facebook and Twitter within the app. The app also allows you to search for additional programming and interact with social media while SlingPlayer is playing videos. Download: The Slingplayer app is available for Android, iOS, Windows and Kindle Fire devices at no cost. Must own a Slingbox to use the app. Xfinity TV Go is the re-branded television app from Comcast which allows you to stream cable channels directly to your device. The app itself is free, but you need to be a Comcast cable customer to access this service. Xfinity TV Go is listed by Business Insider as one of the best apps for mobile TV streaming. Features: This app allows you to set parental controls as well as privacy features for your peace of mind. Based on your cable subscription, Xfinity TV Go also allows you to download television shows and movies from Showtime, Streampix, Starz, Encore and Movieplex, and then watch them when you're offline. Download: Xfinity TV Go is available for Android or iOS. This app allows you to watch HBO programming from your device anywhere that internet is available. HBO Go has gotten very good reviews, including a top-ten streaming app ranking by Paste Magazine. Features: This app allows you to to pick-up watching shows when you switch between your TV and other mobile devices. It also allows you to set a Series Pass®, which automatically puts any new episode of a series you added in your viewing list. Search for shows by name or featured genre. A new feature for 2016 with HBO Go is the ability to set up your phone to keep children restricted to viewing shows within the kids' section only. Availability: HBO Go is available for both Android and iOS. 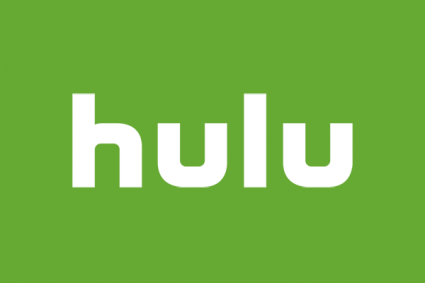 Hulu is one of the most popular apps for streaming shows on mobile devices. It also comes pre-loaded on many new game systems. Hulu features thousands of episodes of currently running shows from networks like ABC, NBC, and Fox. Hulu is a subscription service. This app is regarding as an essential app for cable-cutting streaming app by Paste Magazine and is an Apple Store Editors' Choice app. Features: When you log into Hulu from your smartphone, it recognizes your viewing history and preferences from the last device you used. Hulu keeps track of the shows you've been watching and you can add other ones to your queue/favorites. It also offers a special kids' programming section. Availability: Hulu is available for both Android and iOS. There are two options: a regular subscription for $7.99 a month and a commercial-free premium subscription for $11.99 per month. You can also do a Showtime premium add-on for $8.99 a month. If you join Hulu from an iOS device, you'll pay $13.99 a month versus $11.99 for the no-commercial plan due to Apple transaction fees. Vudu is a free app which will allow you access to thousands of movie rentals. This is the online movie app from the retail giant, Walmart. The mobile version released last fall includes HD (720p) and HDX (1080p) quality streams and downloads. Vudu is listed by Digital Trends as one of the top apps for streaming. Features: Log on and search for movies by genre or name. There are trending suggestions and search suggestions available as well. Watch on-the-go and download your collection so you can view offline. There are some TV shows available, which are available a day after the broadcast. Availability: Vudu is available for both Android or iOS. While the app itself is free, there is a rental fee for every movie you wish to watch. Amazon Prime Instant Video features over 14,000 titles, including new movie releases and television series. This app is listed by Paste Magazine as one of the top streaming apps. Features: You can search for videos like you would search on Amazon's website. Amazon offers a number of free and fee-based programs and movies, along with original programming. When you purchase a video, it is instantly billed to the credit card you have on file for your Prime membership. Videos can be watched offline, which is great when you are traveling or don't have Wi-Fi access. Amazon Prime Instant Video has IMDB integrated so you can search bios of actors and more. Availability: Amazon Prime Instant Video is available for both Android and iOS. The Prime subscription service is $99 annually, which includes a lot of other benefits and perks not related to the Instant Video service. Finding the best TV app can be very subjective. Each service has a wide variety of options, and you may find using multiple apps is the way to go. For example, consider Netflix for its original programming, huge selection of movies, and older seasons of TV shows. You can add Hulu to catch up on the current season of new shows you discover, along with additional movie and original programming options. If you travel outside of the U.S. extensively, options that are not limited to domestic use, like Slingplayer, may be the best way to go. You may even find it cheaper to use a combination of TV apps and forego the cable or satellite TV subscription altogether.